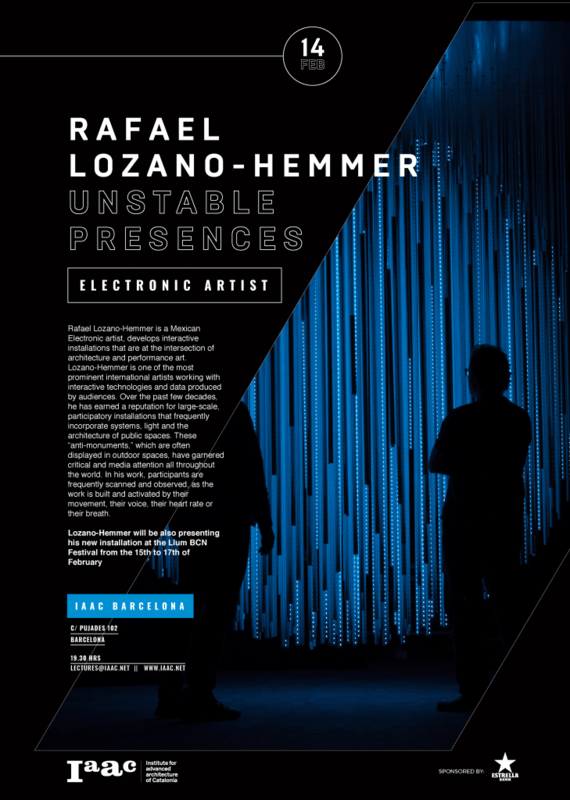 Rafael Lozano-Hemmer is one of the most prominent international artists working with interactive technologies and data produced by audiences. Over the past few decades, he has earned a reputation for large-scale, participatory installations that frequently incorporate systems, light and the architecture of public spaces. These “anti-monuments,” which are often displayed in outdoor spaces, have garnered critical and media attention all throughout the world. In his work, participants are frequently scanned and observed, as the work is built and activated by their movement, their voice, their heart rate or their breath. Lozano-Hemmer will be also presenting his new installation at the Llum BCN Festival from the 15th to the 17th of February.